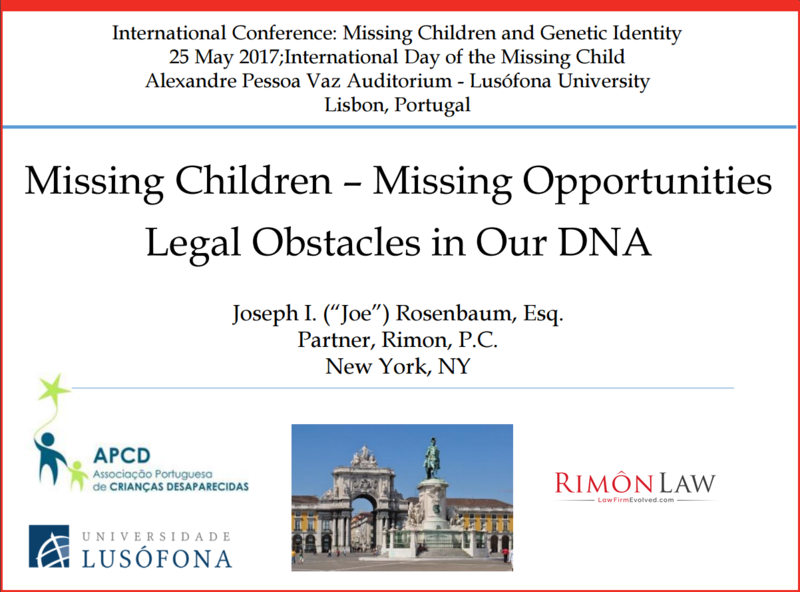 Mr. Rosenbaum was the lead-off, keynote speaker at the International Missing Children’s Day conference for Missing Children and Genetic Identity held in Lisbon on May 25. This yearly conference targets the issue of missing children and human trafficking. Mr. Rosenbaum's presentation, titled “Missing Children – Missing Opportunities: Legal Obstacles in Our DNA,” focused on the international legal challenges and opportunities in the use of medical forensics and analysis in cases of missing and abused children. He also discussed how medical forensics and DNA analytics can aid law enforcement in broader applications against human trafficking. The conference gathered experts in different fields, such as law, education, psychology and safety. 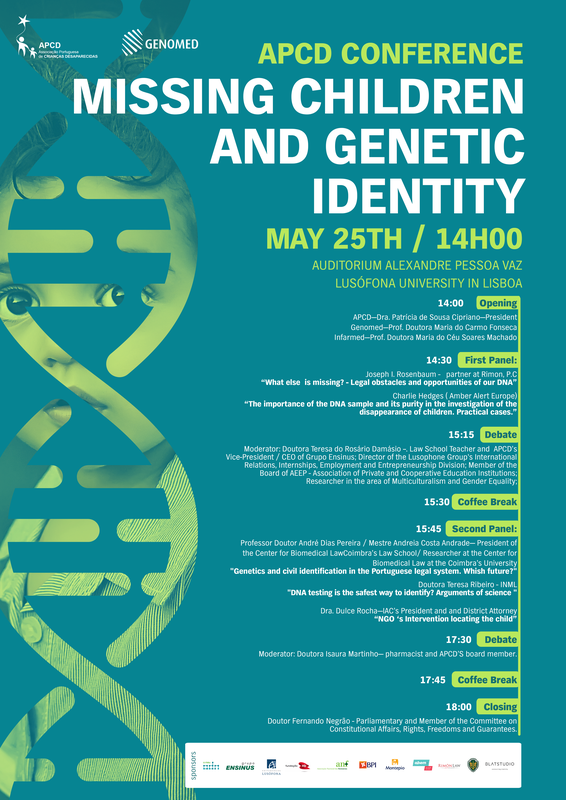 The list of attendees included José Manuel Barroso (former Prime Minister of Portugal), the current Portuguese Secretary of State of Education, and the Assistant Secretary of State of Youth and Sport. Mr. Rosenbaum is an internationally recognized and highly valued media, entertainment, marketing and promotions, corporate-commercial transactional lawyer, known as much for his strategic advice and policy acumen, as his legal skills and judgment. Prior to joining Rimon, Joe was a partner in the New York office of Reed Smith LLP and prior to private practice, served for 17 years as an in-house lawyer for American Express, including 4 years in Toronto as Vice President & General Counsel of Amex Canada.